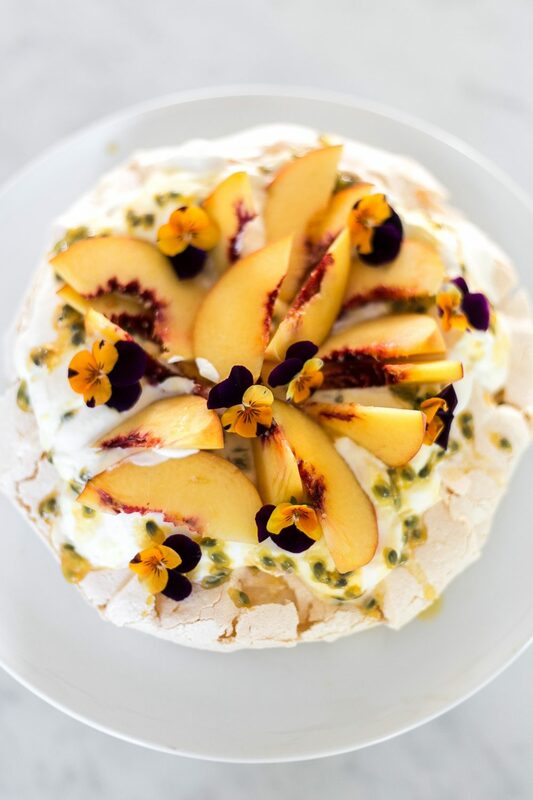 There are few desserts I have mastered as well as a pavlova (if I do say so myself! 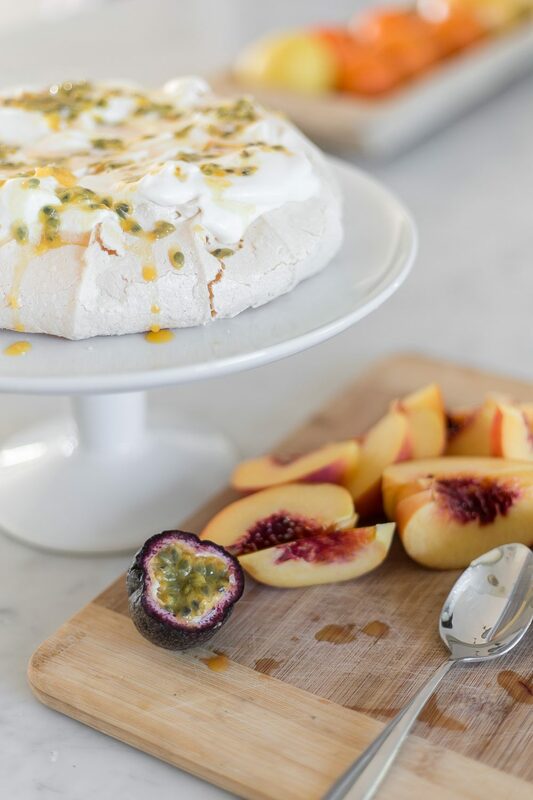 ), and this sweet and tangy pav is one of the tastiest I’ve ever eaten. 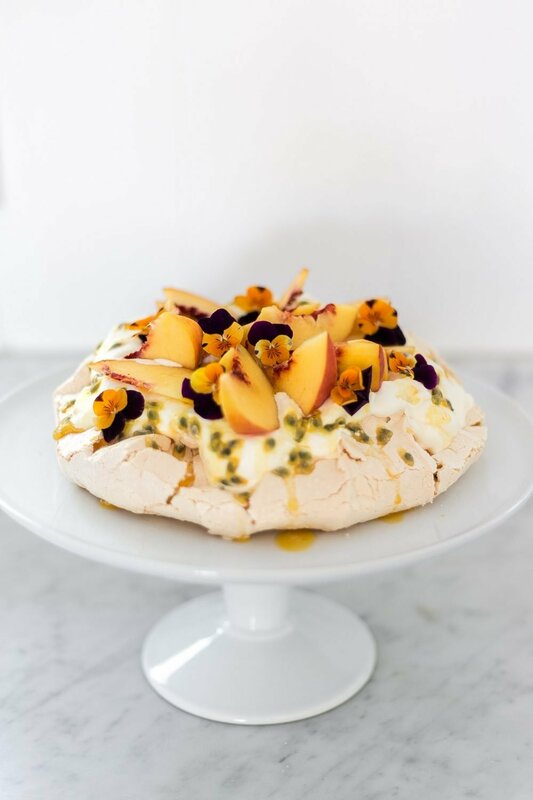 Sugary, crisp meringue paired with tart, tangy passionfruit and fresh, juicy peaches. 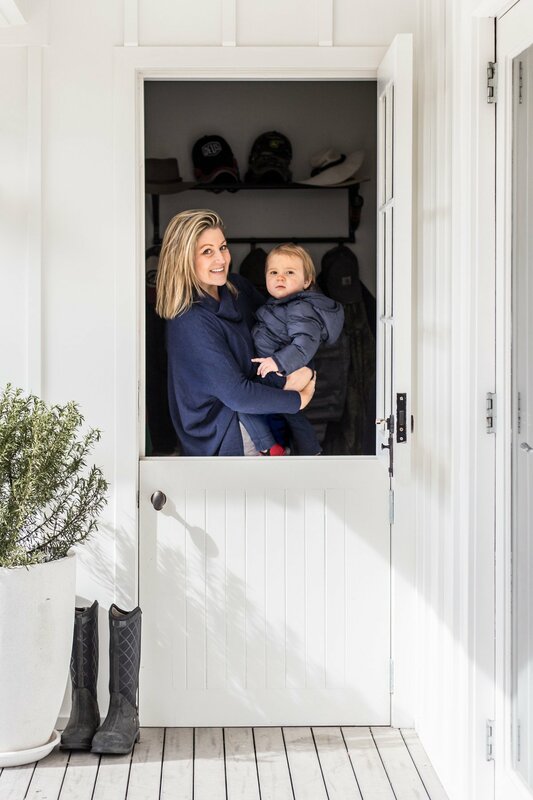 I mean, what’s not to love?! It’s one of the yummiest and easiest recipes around, so be sure to add this to your repertoire next time you need to whip up a quick dessert. Preheat oven to 150°C (300°F). Place the eggwhites in the bowl of an electric mixer and beat on low speed until soft peaks form. Gradually add the sugar, beating well until the mixture is glossy. Sift the cornflour over, add the vinegar and fold through. Pile high into an 18cm-round marked out on a baking tray lined with non-stick baking paper. Place in the oven and reduce the heat to 120°C (250°F) then cook for 1 hour. 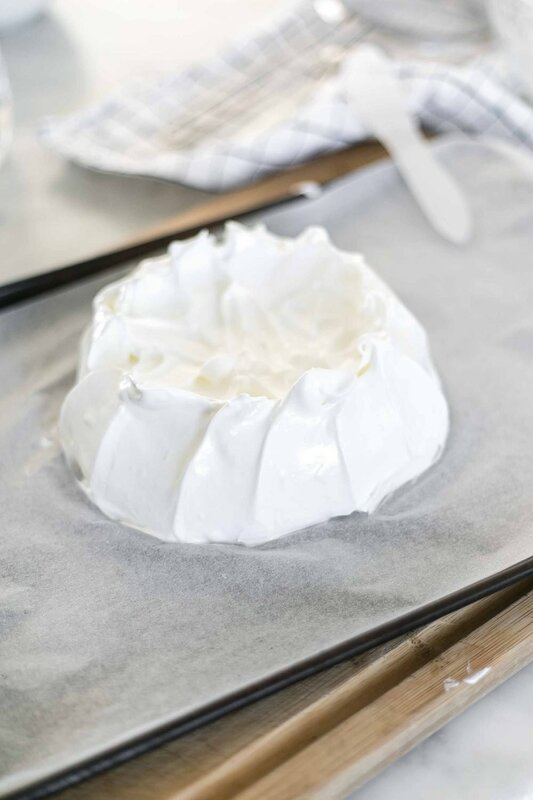 Turn the oven off and allow the meringue to cool in the oven. 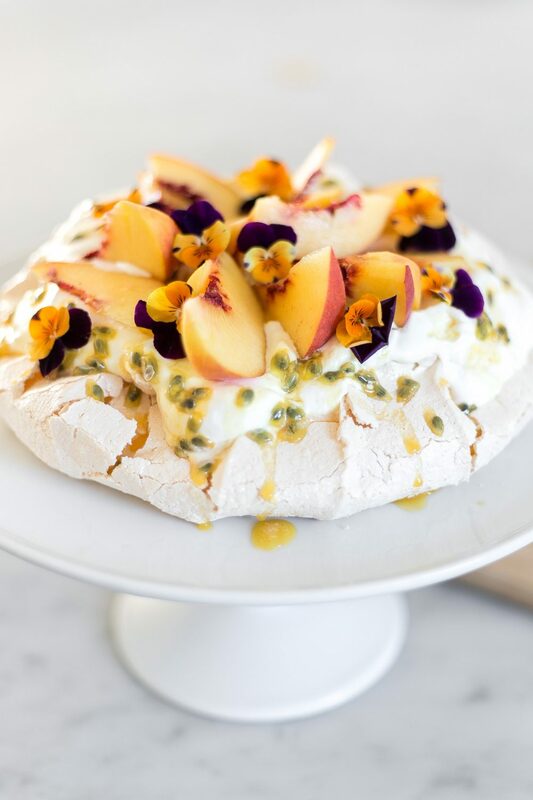 To serve, top with whipped cream and thin slices of ripe peach and passionfruit. 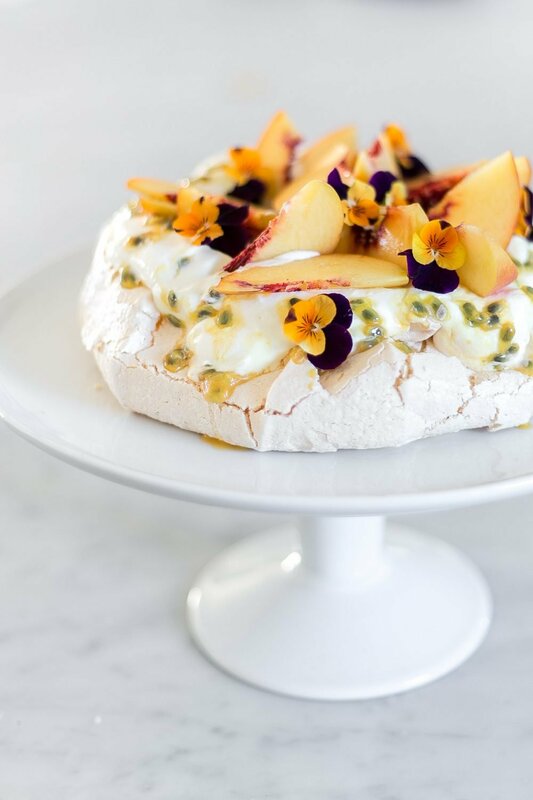 Tip: for that extra bit of “wow factor”, place a few edible flowers on top! Serves 6–8. 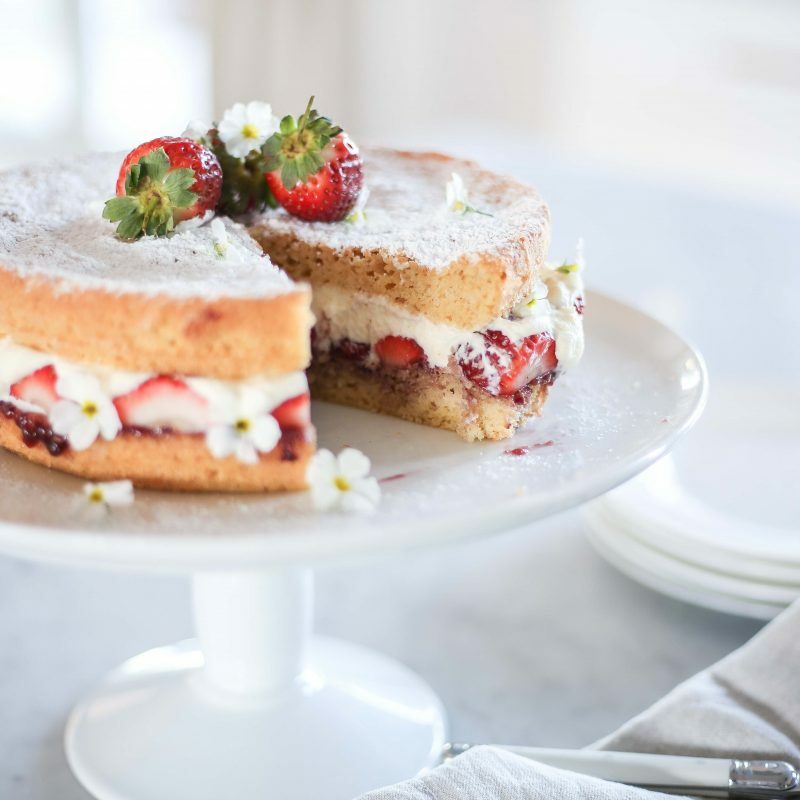 This can be made with a myriad of fruits, but my personal favourite is strawberries, pomegranate and mint which I usually do at Christmas time. It’s super pretty and has that ideal mix of tartness and sweetness.